Laura studies how coastlines evolve in response to sea-level change, storm or tsunami inundation, and anthropogenic influences. She is particularly interested in the role of sediment dynamics and coastal armoring in coastal wetlands' response to sea level rise. Laura is funded by the Institute of Earth, Ocean, and Atmospheric Sciences (EOAS) at Rutgers. Chris' research addresses the ecological and evolutionary response of coastal biodiversity to sea level rise in the context of conservation and management. He is funded by the National Center for Soci-Environmental Analysis and Synthesis (SESYNC). Rafael's research addresses the influence of transport and release on post-establishment evolution; the lowering of detection thresholds for agricultural insect pests using eDNA; and the global invasion pathways of invasive species. Rafael is supported through a McIntire-Stennis Forestry Capacity grant. Kathleen's research interests lie in the use of environmental DNA (eDNA) surveys for the monitoring and surveillence of insect pests within agricultural and forested ecosystems. Jeff is interested in the effectiveness and function of protected areas. He studies birds and arthropods to investigate how various factors (size, levels of light pollution, adjacent land use) impact the species that utilize protected areas. His research goal is to shape best practices for the creation and maintenance of conservation land. Alex's work aims to bridge the gap between ecology, culture, and policy formation. Currently, her research interests include bio-cultural homogenization, marine mammal conservation and ecosystem-based fisheries management. Rob's research addresses measurement of the impacts of invasive species using species distribution models and meta-analysis. Mike studies the connections between agricultural practices, ecology, and conservation. 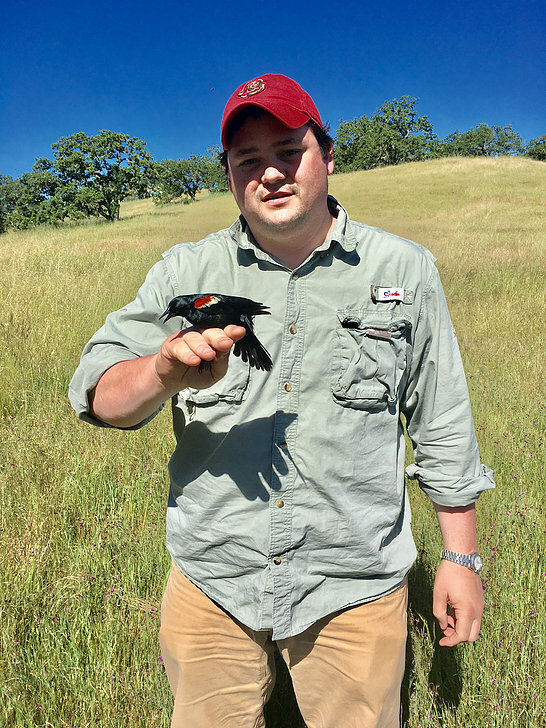 His research integrates economic, ecological, and climate data to better understand the population dynamics of grassland birds and looks for leverage points for their conservation in agro-ecosystems. Post-doctoral research associate, University of Florida.